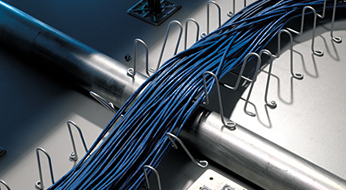 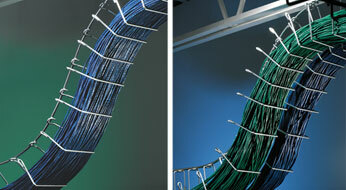 The 401 series Snake Race® is a mini cable manager that will handle up to 165 voice/data cables. 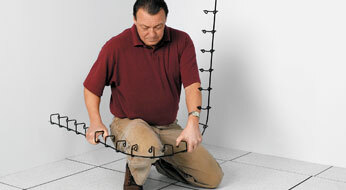 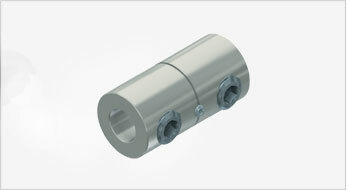 Mounting rings run along two planes allowing for multiple mounting configurations. 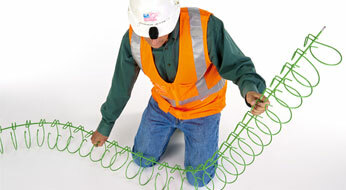 Hand bendable design allows for easy changes in direction without using tools or additional hardware. 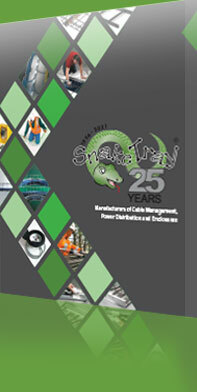 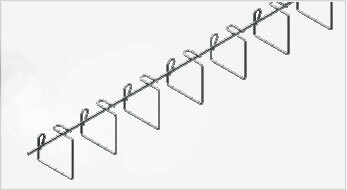 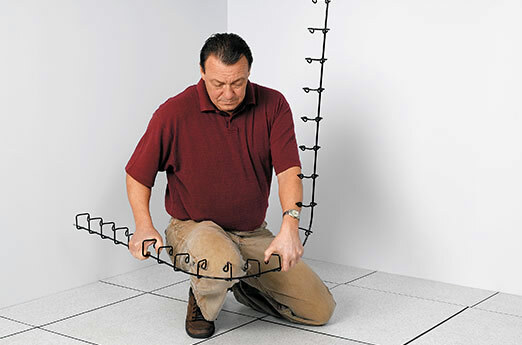 Snake Race eliminates any undue stresses on sagging cables by maintaining support and proper bending radii for all types of cable especially in situations where generic cable hooks might be installed. 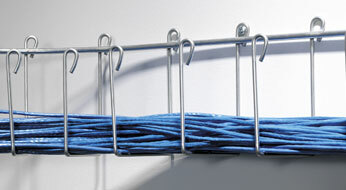 Great for tight spaces, security applications, residential and office environments including office furniture.